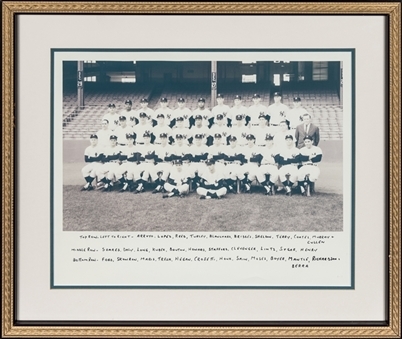 In 1962 the New York Yankees successfully repeated as World Series champions with a seven-game victory over the San Francisco Giants in the World Series. The series ended with a 1-0 Game 7, which itself ended on Willie McCovey’s blazing lineout to Bobby Richardson with runners on second and third in the bottom of the ninth. 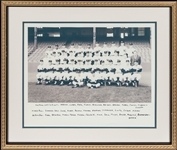 Offered here is a 1962 Yankees team photograph featuring a plethora of Hall of Famers, including Mickey Mantle, Yogi Berra, and Whitey Ford. 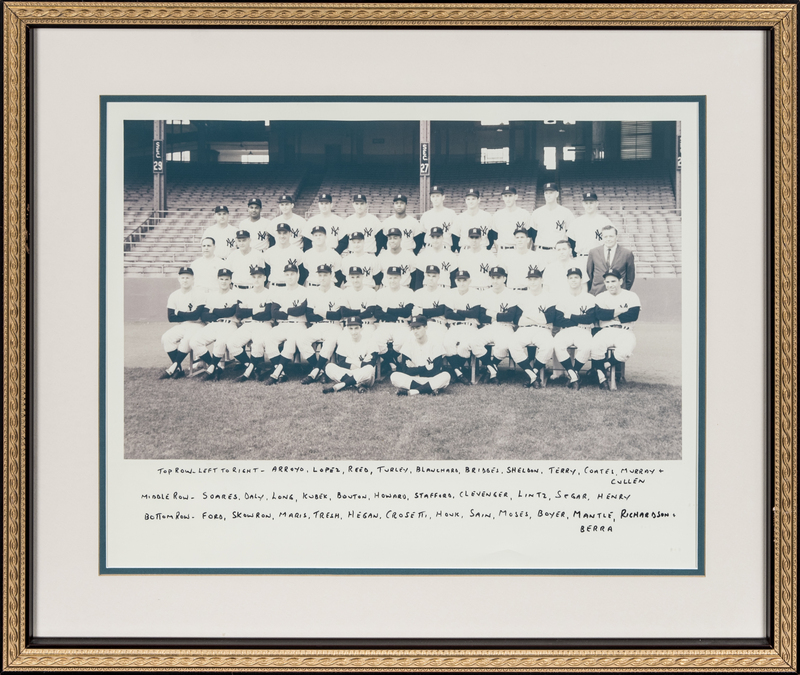 This photograph measures 19 x 15 inches and has the names of the pictured players written on the bottom border in black marker. This photograph comes in a 25 x 22-inch frame.